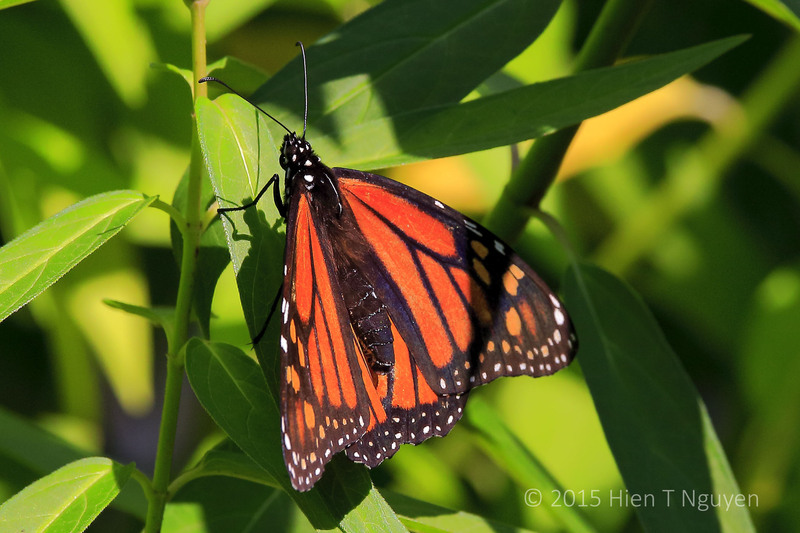 Yesterday, in this post, I told you that I was hoping Monarch butterflies will come to the milkweed that I planted from seed this spring. Milkweed (Asclepias) are vital host plants for Monarchs. Their caterpillars only eat milkweed, and the butterflies then lay their eggs on the plants. 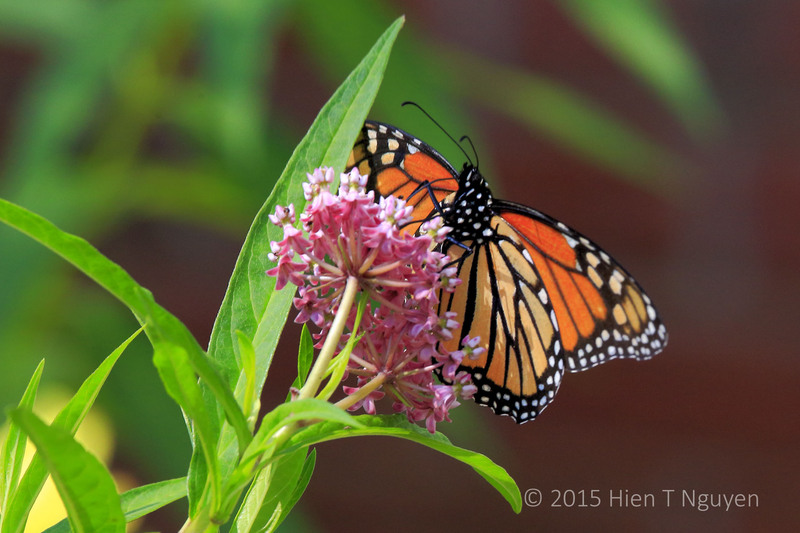 This morning, by chance, I peeked out of my office window and saw a butterfly hovering over the milkweed. I grabbed my camera, went out and took the following pictures of our first Monarch as it kept flying in and out of the milkweed. Truly, plant it and they will come! The gradual disappearance of milkweed, due to urban development, is one of the main causes for the decline in Monarch population. 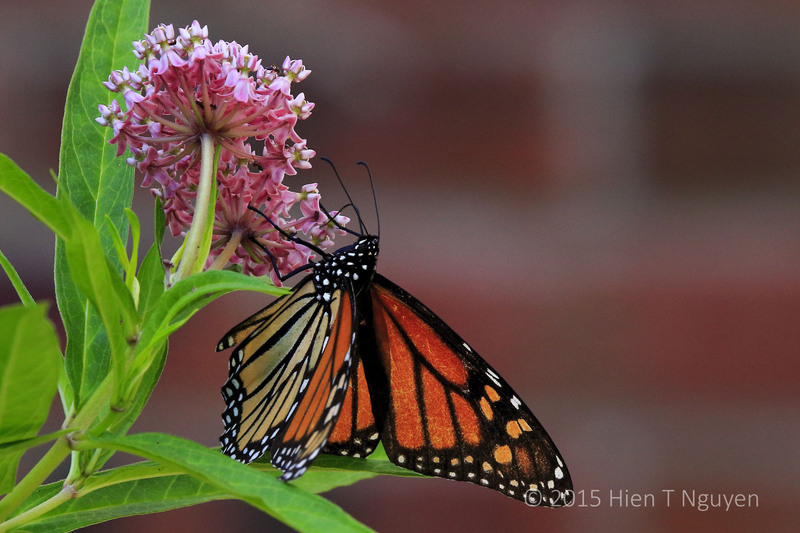 More of us should be planting milkweed to help these pretty butterflies. The Milkweeds I planted here in Florida are yellow and also orange. I have not seen the pink ones that you have in your garden. But even so, the caterpillars liked them just as much. Your butterflies are THE best! Thank you Doda! Maybe more Monarchs will come, then I will take more pictures, hopefully. Oh that is fantastic that they came. Exquisite captures! A very pleasant surprise indeed. Thank you Sue! It is wonderful! Thanks Katelon. Amazing shots. I’m going to google for Bướm Hoa song! Thank you Jet. I myself was surprised at the almost instant results. And I was tickled pink when I saw that butterfly. Thanks Tiny!